2 LADY OWNERS FROM NEW + 2Oth February 2020 MOT (no advisory's issued), Service History Just Serviced @ 36,096 miles @BPG garage (Inspected and Certified by AA on AA Garage Guide) + 12 MONTHS AA BREAKDOWN COVER + 3 MONTHS NATIONWIDE MECHANICAL BREAKDOWN WARRANTY+ EXPERIAN HPI CHECKED + FULLY DETAILED INSIDE AND OUT. 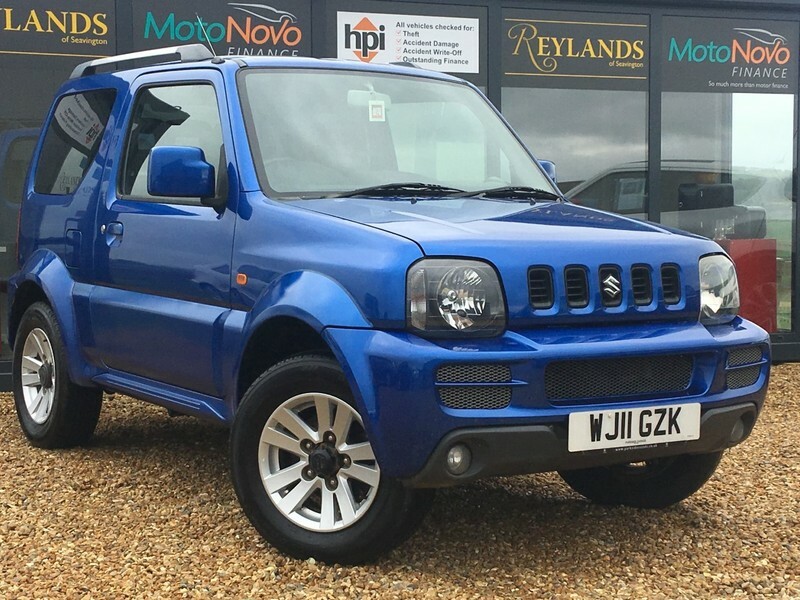 Reyland Car Sales of Seavington, are pleased to offer you this stunning Suzuki Jimny finished in the stunning and very desirable Kashmir Blue metallic, as this is the top of the range SZ4 it benefits from a great specification including Full black leather seats "JIMNY" embroiled in the centre, electric windows, electric mirrors, heated mirrors and rear screen, radio/cd player, remote locking, front fog lights, 15" alloy wheels, full size alloy wheel, roof rails, folding rear seats, and of course switchable drive system for 2WD, 4WD, and 4LWD. VIEWING BY APPOINTMENT ONLY, Please call us on 01460 929 121 to book a viewing/test drive. Reyland's are located in Seavington, Nr Ilminster, Somerset, TA190QB.